It’s one of Africa’s safest countries to travel to, but because this gem is often overshadowed by neighboring South Africa there are probably many things you didn’t know about Namibia. The Republic of Namibia was created in 1990, after it gained independence from South Africa which had occupied the country since 1915. Before independence the country was called “South-West Africa”. Namibia became a German colony in 1884. Back then it was 1.5 times the size of the already massive Kaiserreich. The German history is still reflected in the country’s architecture, newspapers, street names, schools, communities, food, culture, and language. And many Namibians still speak German. Likely, one of the tragic things you didn’t know about Namibia was that during the German occupation, the colonialists lead a war against the local Nama and Herero tribes. They killed a majority of these people by chasing them into the desert where most of them died from starvation. Some historians refer to this period of Namibia’s past as the first genocide of the 20th century. The original inhabitants of the region are the San (a.k.a. Bushmen), the Damaras and the Namas. Only a couple of hundred years ago, Bantu tribes from Central Africa moved in, and in the 19th century white people from Germany, South Africa and Britain followed. Today, Namibia has 13 different ethnic groups (including the famous Himba) in the country. Unlike South Africa, the different ethnicities seem to get along rather well, making Namibia one of the safest and most welcoming countries on this often turbulent continent. 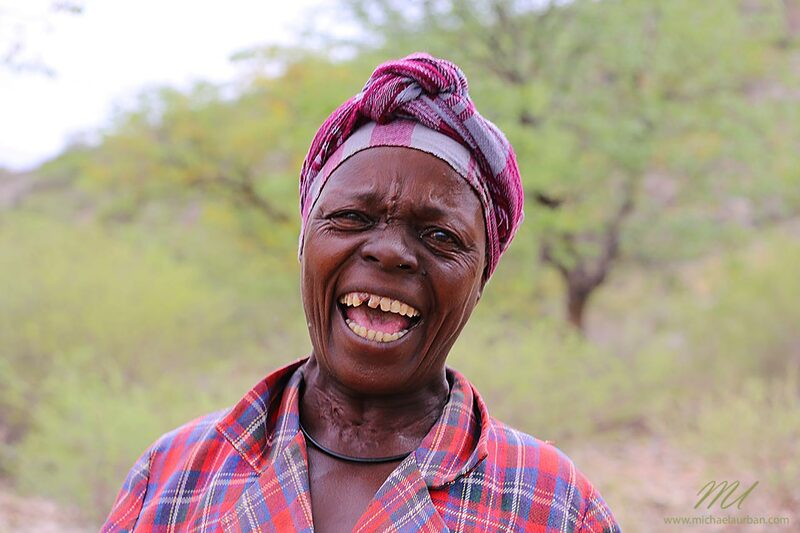 The people in Namibia often still live on subsistence farming, and seem content with their traditional way of living. Today, English is the country’s sole official language, but likely one of the things you didn’t know about Namibia was that German, Afrikaans and several local languages are still spoken. Of course, the most interesting dialects are the “click-languages”, spoken by the San and Damara tribes. Difficult to reproduce, it’s a complex mix of sound and rhythm. Namibia has declared 42% of its land as national park or protected area which includes almost the entire coastline. 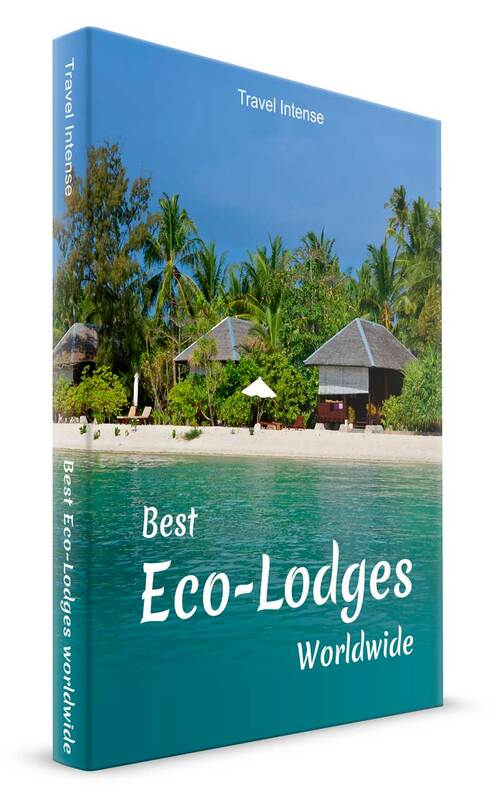 This makes it the country with the largest percentage of protected land in the world. With a population of just a little over 2 million people and a land size of 825,000 km² / 319,000 mi² (8% of the USA), Namibia has a population density of about 3 people per square kilometer. Likely one of the things you didn’t know about Namibia is that this makes the country as little populated as Iceland and Australia. 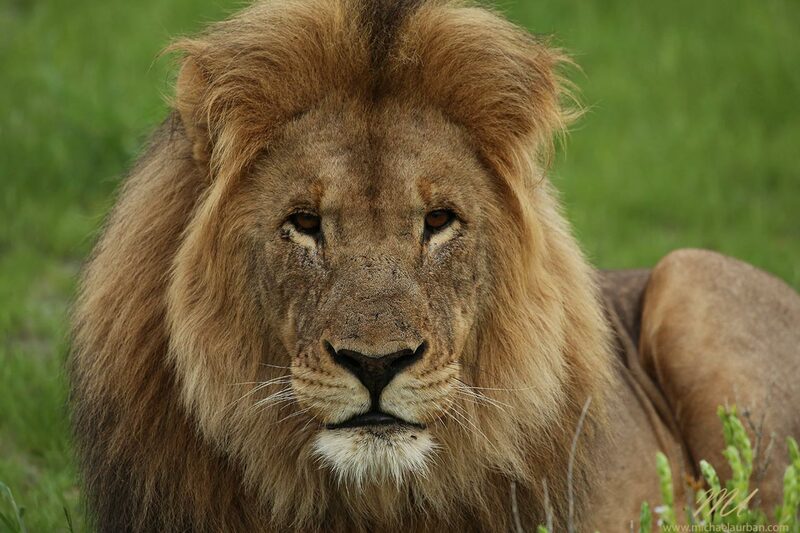 Nearly half of Africa’s elephants live in Namibia, it has the largest cheetah population on the planet, it’s the only country where lion numbers are increasing, and it’s home to the world’s largest population of black rhinos. As if that wasn’t enough, Namibia is also the only country in the world where major numbers of rare and endangered wildlife are translocated from national parks to open communal land (instead of the other way round, which is more common in Africa). 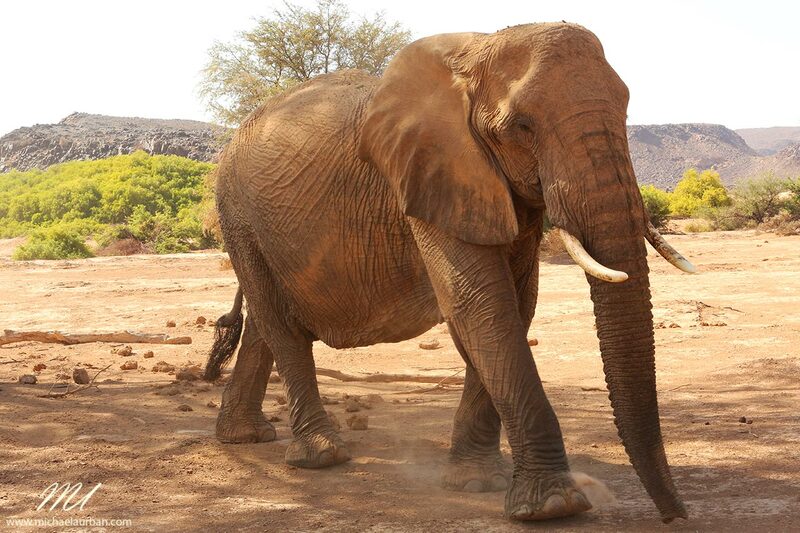 A desert elephant in Damaraland. Namibia has an impressive coastline that stretches 1,600 km/ 1,000 mi along the western edge of the country. However due to the cold, north-flowing Benguela current that comes straight up from Antarctica, water temperatures are frigid. This also results in frequent dense fog and generally lower temperatures along the coast compared to the inland. 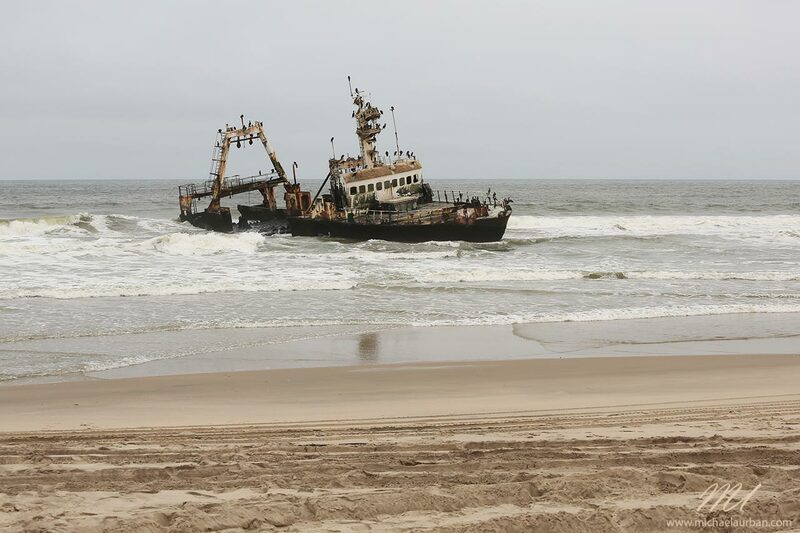 With a big and angry surf it’s not surprising that a stretch of the coast is called skeleton coast for the number of shipwrecks that dot the beach. 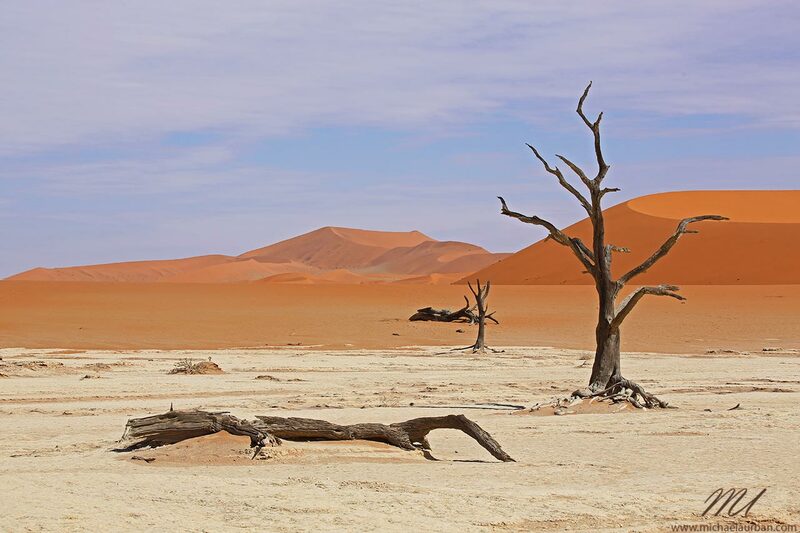 Namibia is also the only place in the world where the desert literally meets the ocean, so in general there is not a (palm) tree or shrub in sight to provide shade. The ‘Zeila’ joined the many shipwrecks along the Skeleton Coast in 2008. 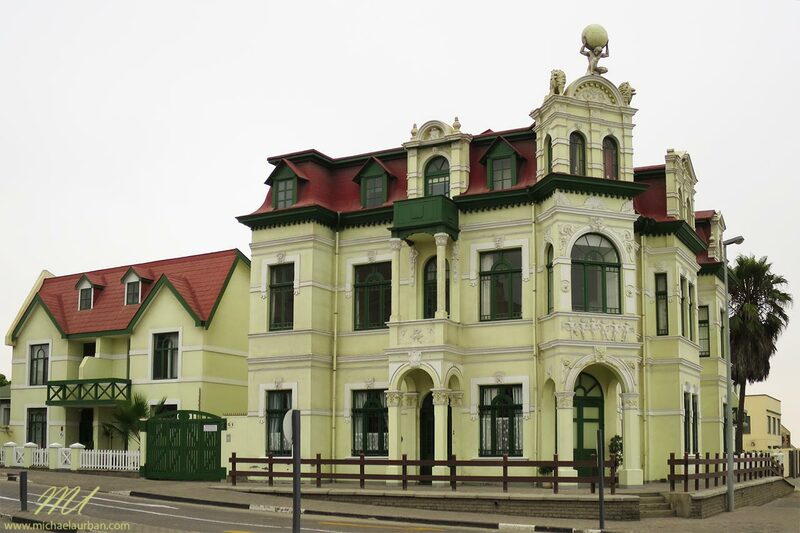 One of the main factors that brought Germans to Namibia during the colonial years was the discovery of gemstones here. While doing maintenance work along the nation’s railway, a young man stumbled across some diamonds in the sands near the coastal town of Lüderitz. The word quickly spread, and several settlements shot up in the desert. The area soon became a forbidden zone (Sperrgebiet in German) where only those with a special license could enter. Likely one of the things you didn’t know about Namibia is that — according to the legend — in some places the diamonds were just lying around in the sand and could be picked up like shells on a beach. In 2008 the area became a national park (Sperrgebiet National Park) and even though mining is still going on in some parts, this diverse desert ecosystem is considered a biodiversity hotspot by scientists, and access to many sections is still restricted. When I thought of Namibia, I always imagined dead trees, red sand dunes and generally a harsh dry climate with sparse growth. After my visit, I have to admit that in fact much of the country is as I imagined; however there is one little “panhandle” (the Caprivi) in the northeastern corner of the country towards the river Zambezi where Namibia is magically transformed from a dry desert to a tropical wet land. Here, hippos chill in perennial rivers, the trees are lush and large and the grass can be as green as one might find in Ireland. 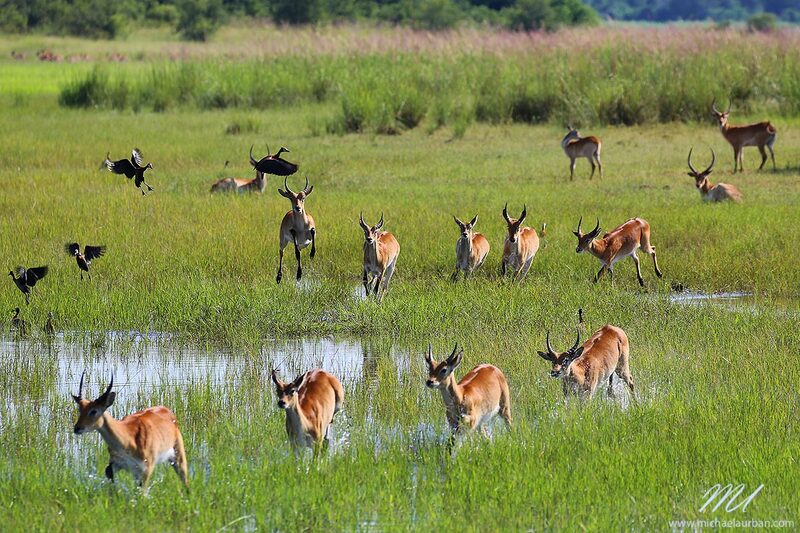 Often overlooked by visitors, the Caprivi is one of my absolute favorite spots in Namibia! Namibia boasts an impressive amount of natural treasures — the world’s largest underground lake, the oldest desert in the world, the highest sand dunes, the second-biggest canyon, the third-clearest sky, and some of the largest concentrations of “big five” wildlife anywhere in Africa. 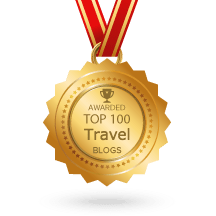 If you like adventure and want to see a part of the world that is like no other, check out Namibia and its true African spirit — I promise you you’ll love it! And once you have experienced this unique country, share the things YOU didn’t know about Namibia with us in the comments below! you are so right! Namibia’s size is enourmous and way too big to explore in one trip. But there are plenty of reasons to come back a second, third, … time ;-).